So you’ve chosen OpenStack for your cloud infrastructure. Now another big decision needs to be made: Block storage or object storage? OpenStack has sub-projects that deliver both block (Cinder) and object (Swift) storage. A variety of performance-focused primary storage and optimized secondary storage solutions are on the market, and they provide flexible, highly scalable storage services for OpenStack. 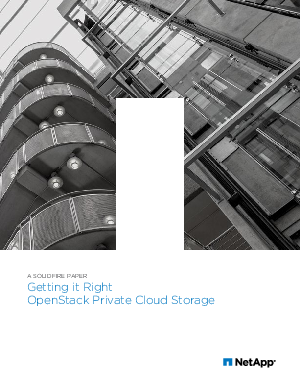 One size does not fit all when it comes to storage for OpenStack. In this article, we examine specific use cases and unique characteristics of both Swift and Cinder. The best course of action for your deployment will depend on how you answer key questions about your OpenStack storage needs.